Welcome to Seven Quick Takes, hosted by the lovely and talented Jennifer Fulwiler at Conversion Diary! Head over to her blog to see what other people are up to this week! I’ve been kind of busy and not blogging lately. I feel badly about it. I’m going to try harder to post at least 3-4 times each week, including things like Small Success Thursday, but also want to get into some other topics, both social and religious. In fact, I have had this post idea in my mind for about a year, but whenever I start researching it, it makes me depressed. Wow, that was a great selling job there. I’m sure you’ll all look forward to that post, huh? 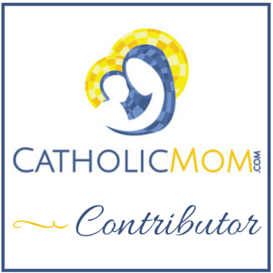 If you haven’t seen it, CatholicMom.com has had a huge makeover this year, and they’ve added a bunch of fantastic features, including daily Gospel reflections. I’m blessed to be on that team, and my posts will start going up next Monday. Not that I’m the only one worth reading! Gracious, go on over and see what it’s like. To think I started making use of Lisa Hendey’s site more than 10 years ago when I’d print off Sunday Gospel coloring pages and quizzes for my girls to use during Mass! It’s really come a long way, and it’s such a useful site. It’s not just for moms any more, either. There’s plenty of stuff for parents and catechists and just plain old Catholics to do and see and read. 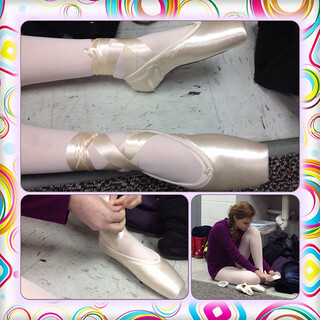 In case you missed it somehow, my younger daughter started dancing on pointe last week. Unfortunately, her classes were cancelled this week due to icy roads closing the schools down (when schools close, so does the dance studio), but she promised me I could take pictures of her on pointe at home. We’re very proud of her, and she is going to be great. In the meantime, she has to get those shoes broken in! Our family didn’t go to the March for Life this year. At first, we thought Nathan would be traveling, but even when that didn’t come off, he wasn’t sure he could take more time off than he already was doing this month. If I went, I would be trying to drive into DC with our girls and a few of my friends’ children (they put us up for the night, we bring a few of their older kids to the March). I am not a fan of Driving in Big Cities, and the Metro has gotten prohibitively expensive. (Last year, to get 6 of us into the city from the end of the Metro, it cost over $100!) And so we decided to stay home and pray instead. We downloaded the March for Life app and got to watch the rally over lunch on my iPad! Very, very cool. One of things Nathan is taking time off to do is to go to Charlottesville with me on the night of my First Promises with the Lay Fraternity of Saint Dominic. (I kind of like using the hashtag #YouDownWithOP3 for that on Twitter!) It’s a big deal; when I do this, I will be only three years from Final (or Lifetime) Promises. I have really found the Dominicans to be such a blessing in my life. I’ve always loved to see the friars and sisters anywhere, and have followed Dominican blogs before I even really knew what Dominicans were. One of the best things about being a Dominican is that I get to learn and study ALL THE THINGS! Well, not just yet, but I’m required to keep learning forever and always, which is fun! I get to learn about the Faith and Saints and God, I don’t have to write too many research papers, and I don’t have final exams. And I get pushed to learn things that I might not have thought to study on my own (or was too lazy to do without prompting). It’s a challenge, and I’m certainly not good at keeping all my requirements yet, but I’m also trying to improve on that, too. The point here, I suppose, is that on Tuesday night, I won’t have to worry about what to watch on TV; I’ll be at Mass and Vespers with the Dominicans, making promises to do my very best to live the Rule of Saint Dominic as a lay woman. After our quick trip to Charlottesville, Nathan is going to be taking off for a whirlwind travel schedule for work. Lucky for us, he has a workshop to attend in the San Francisco area, and it looks like we’ll be headed out there with him! He’ll take a vacation day after the workshop, and we’ll spend a couple of days seeing sights, including some missions! (I’m especially excited about this because our 12 year old is studying Blessed Junipero Serra, so this fits in as a field trip!) We’ll probably see Alcatraz (and most likely bring the kids home, too), the Golden Gate Bridge, and the Pacific Ocean! I’m very, very excited! The only thing that could keep us from going is my final item, and it includes a prayer request. Nathan’s grandfather, who is 95, has been ill and in the hospital. He has been recovering as well as a 95 year old can recover, but prayers for our family, and especially his grandparents, who celebrate their 74th wedding anniversary this month, are deeply appreciated. We’ve been planning a trip to see them in South Dakota for this Summer, and everyone is hoping that’s where the trip stays. All things in God’s planning and timing, though. Thanks for playing along, thanks for the prayers, and now go on and see who else has posted their Quick Takes! ← Rockin’ the Fuzzy Feet! And I am SOOOO excited for your final promises. Now if only we can get Hallmark to draw up a card for this occasion, I’d be happy to mail one to ya. Thanks! I’m not to final promises yet, so there’s still 3 years for Hallmark to make one! I’m all about celebrating the #smallsuccess I need to get to someone at Hallmark now – and then when the BIG day comes, they can have the huge St., Dominic cardboard cutout ready for you to walk with.